Many people dream of becoming rich and think about what they would buy and where they would go if they did get rich. Yet, so many don’t actually know how to become rich. After all, don’t you have to come from a wealthy family or inherit a boatload of money to be rich? 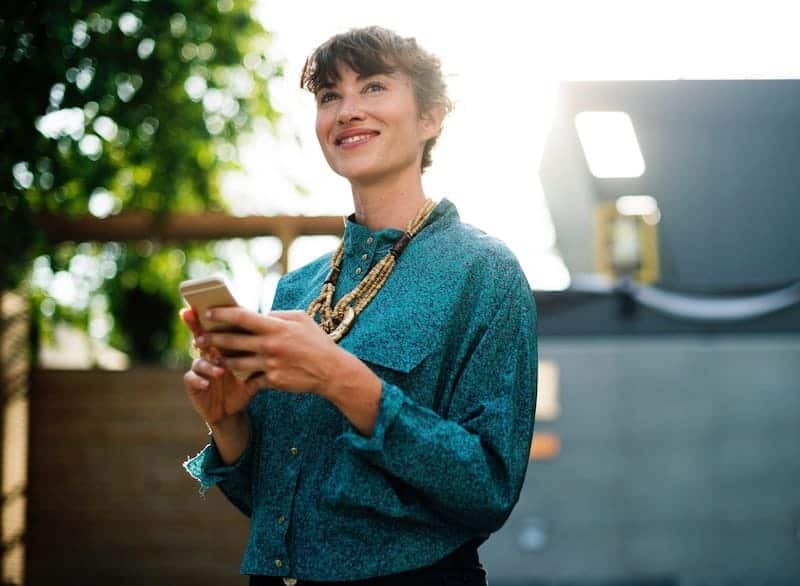 You might be surprised to find out that becoming rich is something that’s available to anyone regardless of their upbringing or education level. Sure, winning the lottery or inheriting money can get you there a lot faster. But if you’re a regular, real person, you can learn how to build wealth, too. Now, be forewarned, it’s going to take work, lots of time learning about money, and a significant mindset shift. However, if you’re willing to try, you — yes, you — can become rich. Just like going to college or starting a business, there is a strategy and steps to follow if you want to get rich. Your journey to becoming rich might not be linear. Much a like a road trip, there could be some roadblocks or traffic along the way and things that halt your journey or slow you down. However, if you’re committed to getting rich, you have to develop persistence. If you stay the course, you’re more likely to learn how to build wealth and reach your goals. Many studies have shown that when it comes to building wealth, it’s all about your mindset. To put it another way, getting rich only happens to those who have a wealth creation mindset. So, how do you get a wealth creation mindset? Well, first you have to do the hard work of looking back at your money story. How did you grow up? What did you learn about money as a child? Do you believe wealthy people are evil? Do you think more money means more problems? If so, it’s time to start making some mindset shifts. If wealthy people believed money was evil, then they wouldn’t be wealthy. If they thought more money would lead to more problems, then they wouldn’t make more of it. Those that believe money can be a powerful force of good in the world open themselves up to the possibility of being wealthy. Those who are willing to create new money stories and shed the money stories from their childhood have a better chance of becoming wealthy in the future. We all have negative money stories and tendencies that hold us back. But when you start to write new stories, that’s when the magic happens. Here are some more ways to improve your wealth creation mindset. When you decide to invest in yourself, you’re literally telling yourself that you’re worth being wealthy. You’re sending yourself a message that you believe you can achieve your goals. Investing in yourself can mean a lot of things. It might include going back to school, starting a new business, or reading personal development books. When you put yourself first and take the time to improve yourself, you also improve your overall mindset. Finding mentors is crucial if you want to become rich. This can be tricky, though, because not everyone thinks this way. I personally have received some negative feedback from my own family and friends who’ve mistaken my interest in personal finance as me worshipping money. Over time, I’ve learned, those people won’t ever be my mentors. And if they don’t develop a wealth mindset of their own, they’ll never get rich themselves. Think about it this way: people who are successful and wealthy will never look down on you or make fun of you for wanting to join their ranks. It’s only the people who aren’t there yet who will give you a hard time. Concentrate on the people you want to be like, not the people who are criticizing you or holding you back. Remember, building wealth is open to anyone of any background and education level. You’re not really leaving anyone behind if you want to become rich, because they can always come with you on the journey if they choose. Still, it’s so important to surround yourself with successful people who you want to be like. You are who you spend your time with. So start making friends and acquaintances who are better off financially than you are. Learn their habits, and ask them honest questions. As mentioned, developing an abundance mindset where you believe wealth is attainable and admirable is crucial to becoming rich. Additionally, finding excellent mentors and surrounding yourself with people who also have positive wealth mindsets is important. Of course, wealth won’t come out of thin air. The next step is to learn the mechanics of managing money. If you don’t know how to manage money well, you’ll have a hard time growing it. Sometimes, financial lingo can seem overwhelming, almost like learning another language. However, if you take the time to read and practice it, you’ll be able to learn a lot if you’re consistent. One of the easiest ways to learn about money is to read personal finance books. Some of the most classic personal finance books include The Total Money Makeover, The Millionaire Next Door, and Your Money or Your Life. Those books have sold millions of copies, and for good reason. They’re a great place to start when it comes to the fundamentals of money and understanding it. Once you read those, you can start learning how to invest your money. The Intelligent Investor and The Little Book of Common Sense Investing are a great place to start. To create a financial roadmap, begin by listing your priorities in order. Take the time to sit down and really think about what you want out of your life. Do you want to travel more, retire early, or make enough money so you can buy your parents a new house someday? Once you know your priorities, you can work backward and decide how to reach those goals. If you don’t have an emergency fund and currently have consumer debt, like credit card debt, step one should be building a savings and eliminating debt. As you’re working through your financial roadmap, take some time to make a budget and practice conscious spending. That’s not to say you have to give up your daily latte. Sticking to a budget doesn’t mean depriving yourself of little treats. It simply means you’re in control of your money and telling it where to go. 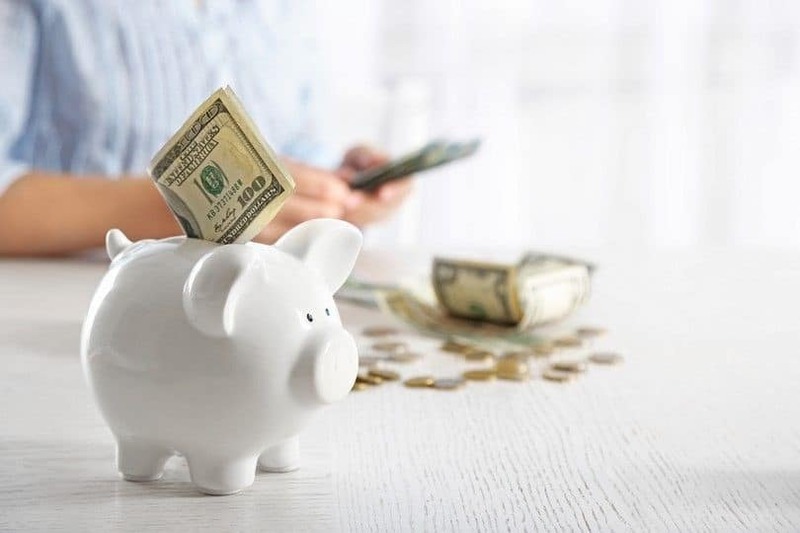 Of course, if you’re interested in cutting your budget down to the minimum, there are numerous benefits to living with less. Tracking your net worth is a useful tool for seeing how far you’ve come over a long period of time. You can use a net worth tracker like Personal Capital to track your net worth or simply use an Excel spreadsheet. 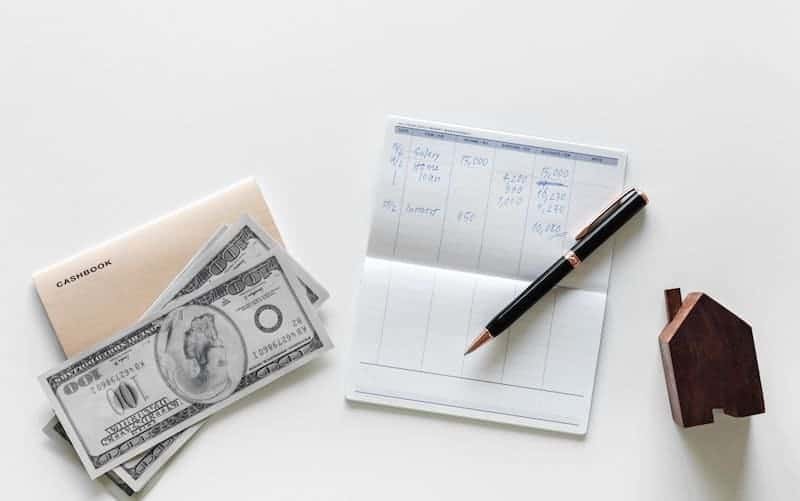 To track your net worth, write down all of your assets, including your home, the value of your investment accounts, the car you drive, cash you have on hand, etc. Then write down all of your liabilities — what you owe on your house, your student loan debt, credit card debt, and anything else you owe money on. Take the value of your assets and subtract the total of your liabilities to get your net worth. It’s ok if your net worth is negative right now. That will make it all the more fun to track and watch it go up as you pay off debt, learn more about money, and become wealthy in the future. Once you get used to making a budget every month, you’ll probably get to a point where you realize you can only cut so much. That’s when it’s time to make more money. There are many ways to earn more, from maximizing your current income to starting new revenue streams. To maximize your current earnings, start with your job. The simplest way to earn more is to ask for a raise. For the best chance at success, make sure you do it strategically. Do your research to find out what other people in your position earn across the country. Make a note of any time a customer or client praised your work. Also, be sure to write down any time your ideas or work ethic contributed to a big project. Then take all of that information to a meeting with your boss and ask for a raise after you’ve shown you’ve earned it. If you still want to earn more money after maximizing your current earnings, pick up a new income stream. This could mean finding new side hustles, looking for online jobs, doing odd jobs in your neighborhood, or starting a business of your own. Starting a business is one of the best ways to increase your income. The good news is there are so many ways to start a business without large upfront costs. These days, you don’t need expensive equipment or a brick-and-mortar store to own a business. 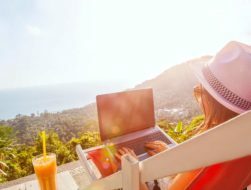 You can easily start earning money with an online business, and all you need is a computer and an Internet connection. While you’re out there increasing your income, don’t forget to grow the money you already have. You can do that by taking advantage of your employer’s benefits and learning all you can about investing. As we covered, the simplest way to earn more money is to ask for a raise at your current job. However, you should also find out if you’re currently leaving money on the table. For example, does your employer offer a 401(k) match? Are you contributing enough to get the match? Are there benefits you don’t know about, like a recently implemented wellness program where your employer refunds your gym membership? Talk to your boss or HR department to make sure you know about all of your potential benefits. There might be some you never knew existed! If you aren’t investing, start doing so now. Even if you can only invest $50 or $100 per month (or less than that), it’s better than nothing. In fact, the earlier you start investing, the better, thanks to the power of compound interest. You don’t need a financial advisor to start investing. The best way to learn about investing is to consume all the information you can find. Start reading books and podcasts on how to invest. This will give you a jump start and help you learn the terminology. An easy way to start investing today is to open an account with Acorns. This micro-investing app comes with a $5 sign-up bonus and is perfect for beginners. When you make a purchase with a linked debit or credit card, Acorns rounds up to the nearest dollar and invests your spare change. You can also boost your Round-Ups by 2x, 5x, or 10x. See Also: Acorns Review: Is Investing Your Spare Change Worth It? A final step if you want to learn how to get rich is to consider creating some passive income streams. 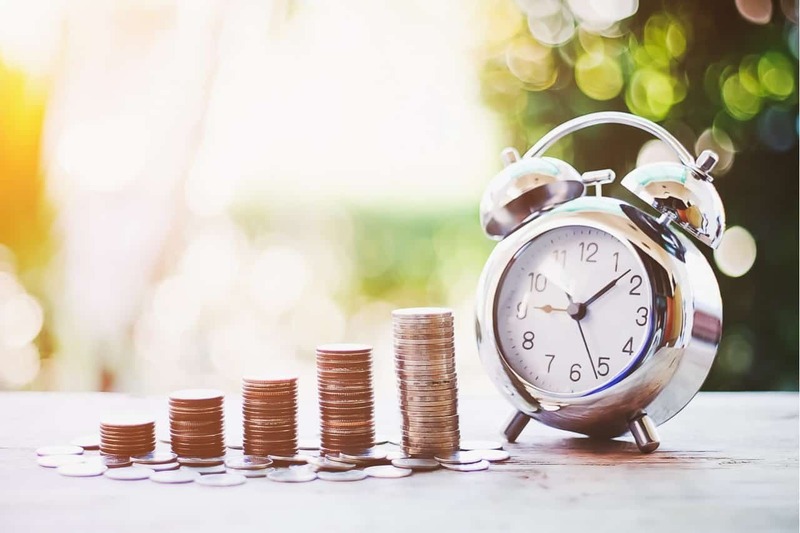 Of course, most “passive” income streams start with a lot of active work, like investing in real estate, starting a business, or becoming successful enough to be an angel investor in other businesses. However, passive income can also be as simple as earning cash back on your everyday purchases. 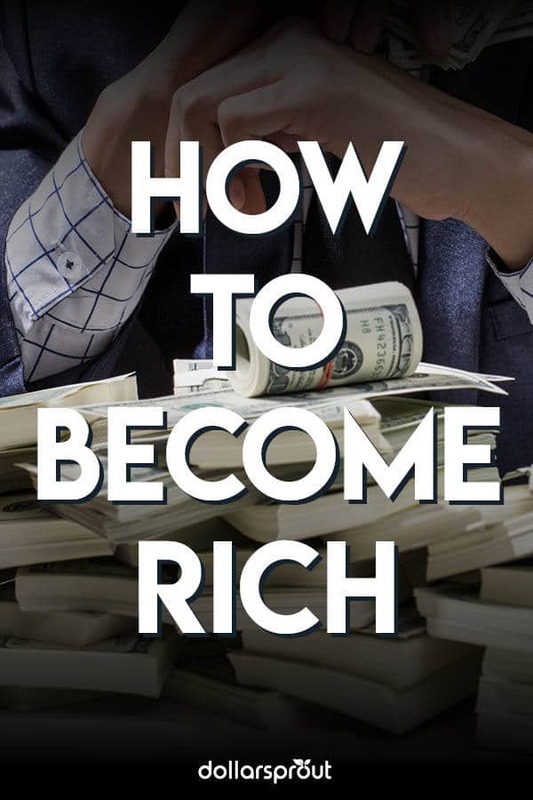 As evidenced, becoming rich is something available to anyone. However, you have to put in the work. The first step to getting rich is really evaluating your mindset. How do you feel about rich people? How do you feel about earning more money? What lessons did you learn about money in childhood that you might need to change? The sooner you attach positive traits to being wealthy, the better your mindset around wealth and money will be. When you believe that rich people can do good in the world, you open yourself up to becoming rich yourself. After working on your mindset, surround yourself with successful and wealthy people. Ask them questions and learn from them. At the same time, work hard at your job to earn a raise. Really take stock of your spending tendencies and make a plan for how you want to allocate your money moving forward. Read all you can about personal finance, investing, and passive income. Ultimately, the more you read, the more you know, and the quicker you can get rich and achieve the life you want. I feel like a rich man already. Thanks for the amazing information.